This demo will show you how to use light sensor. In order to indicate the intensity of light, we need a Led Bar. 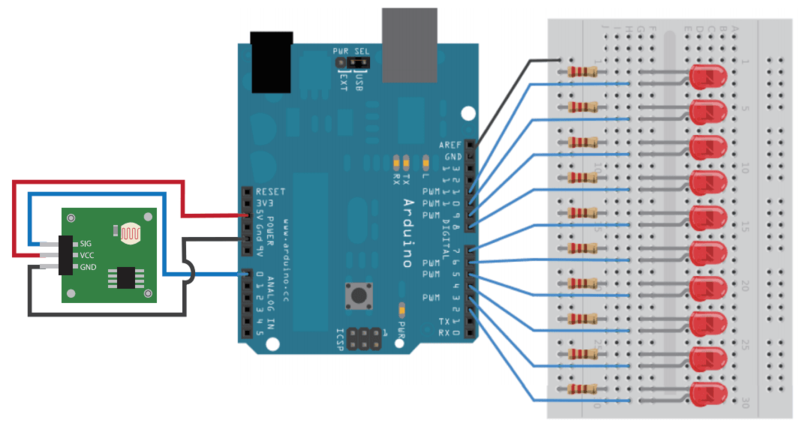 The output of Light Sensor is analog signal, so we connect it to A0 of Seeeduino. Open Arduino IDE, click File -> Sketchbook -> light_sensor.